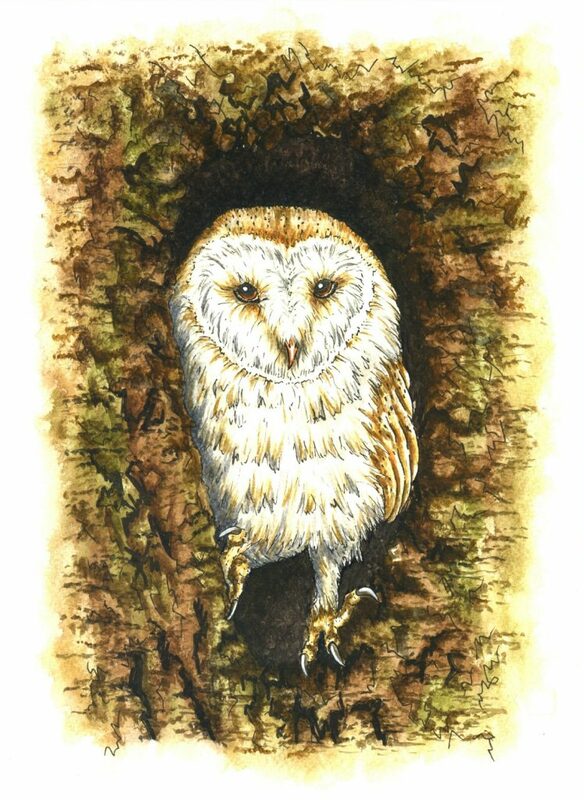 Available in 3print sizes aswell – A6 size / A5 size / A4 size. Makes a wonderful CHRISTMAS / BIRTHDAY / ANNIVERSARY gift! 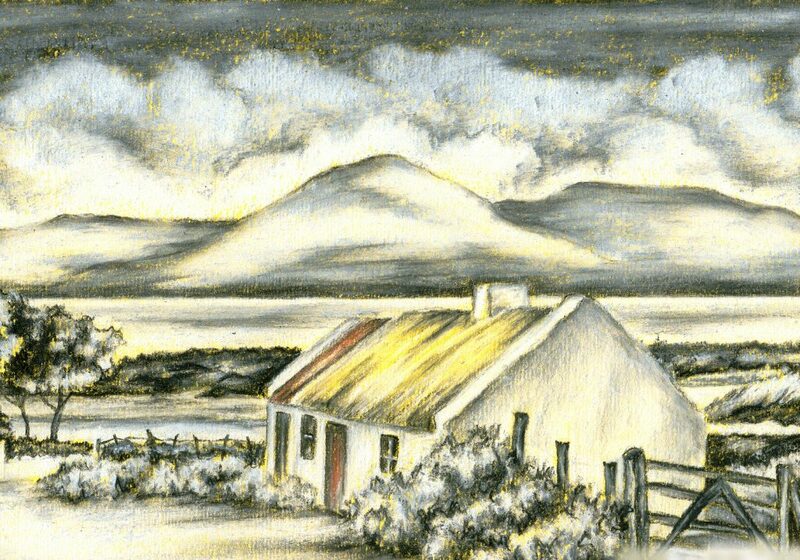 Another of my artwork using one of my favourite art mediums PASTELS ……… you would just love to escape to this quaint cottage, in the ‘Mourne Mountains’ in Northern Ireland! I have LOVED art all my life …….. and LOVE making a living from my ART! 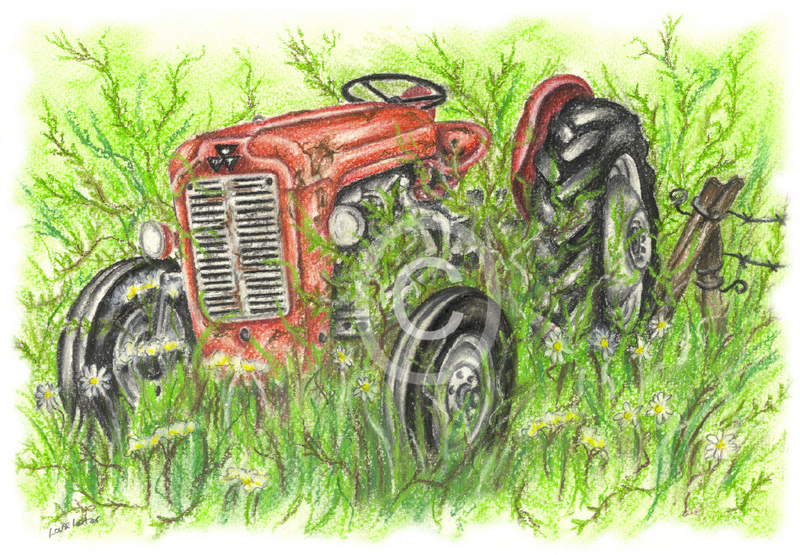 One of my favourite art mediums is PASTELS, and I hope you enjoy my ‘Massey Tractor – Time to Retire’ Pastels painting! I have LOVED art all my life …….. and LOVE making a living from my ART! 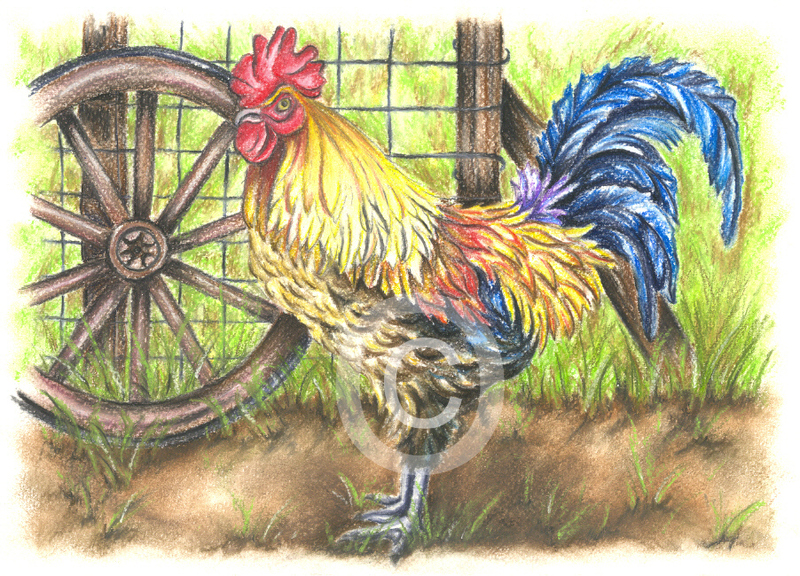 One of my favourite art mediums is PASTELS, and I hope you enjoy my ‘Rooster & Cartwheel’ Pastels painting!